Arnos Vale Cemetery was established by the Bristol Cemetery Company in 1837 as a response to the overcrowded City church yards. The amphitheatre site was landscaped, and impressive Doric Styled entrance lodges, Ionic styled Non - Conformist Chapel and Corinthian styled Anglican Chapel were constructed, all are now grade 2* listed structures. There are many elaborate memorials for Bristol industrial families, as well as Raja Rammohan Roy. The Cemetery was extended in the1890's and in 1929 the first crematorium in the West of England was opened beneath the Non-Conformist chapel. Following a gradual decline and limited maintenance, the cemetery was threatened with closure and sale. 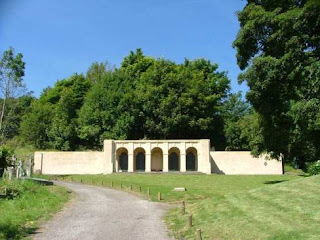 The Friends of Arnos Vale Cemetery, established in 1987 worked with the City of Bristol to compulsory purchase the site which is now managed by the Anos Vale Cemetery Trust. 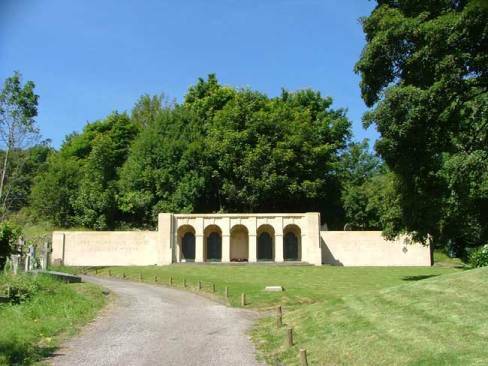 Funding has now been received to refurbish the buildings and grounds to allow the cemetery to continue as an education, family history, and wildlife centre for the City. Funeral Matters The cemetery is full and has no capacity for new burial plots. If individual family plots have capacity and are accessible, they may be used for burials of relatives, providing rights of burial can be established.Cremated remains can be interred in family plots or spread in gardens of rest. Oglejte si Arnos Vale Cemetery (Bristol, United Kingdom) na večjem zemljevidu.